Jennifer Caroline May was a young girl, whose life was shortened by unfortunate circumstances during her birth and in utero development. Even so, she out-lived doctors' expectations, and became a joy and inspiration to many for the short time she had on Earth. 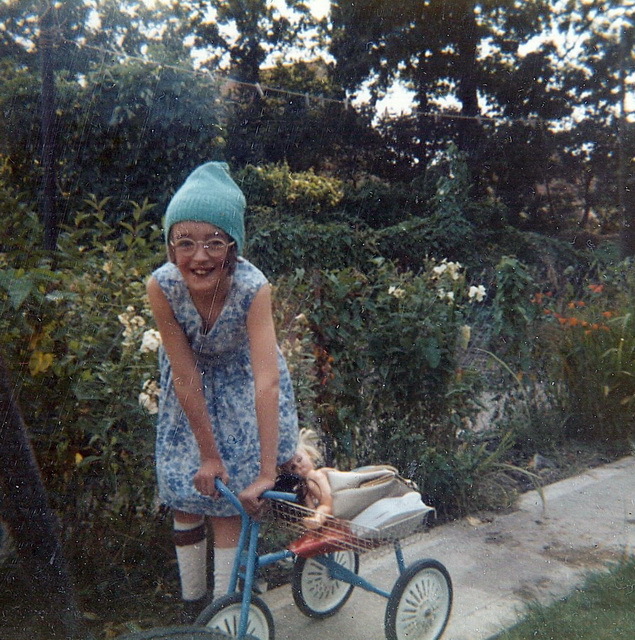 Her mother - my mother - felt compelled and led after Caroline's death to share her story. Her hope and desire was to encourage parents of "special" children, and to provide a glimpse into the lives of a child and parents who relied heavily on their faith and trust in God, and the love of Jesus Christ. Caroline's Story is this mother's witness to a life lived by hope in the face of despair and need; a testimony to the selfless love and support from friends, family and community, and of the kindness and compassion given by helpers and professionals, all under the guiding hand of God. Today, many children like Caroline may never even be given a chance to see the light of the world, providing fewer opportunities for this special kind of love to be realized. My mother, Janella Margaret May, passed away in 2012. A year prior, after an accident at home took her to the hospital, it was discovered she'd had a stroke and was eventually also diagnosed with a rapid onset of ALS (Lou Gherig's Disease) - this was the beginning of her physical struggle. ALS turns the body into a prison for the mind as the nervous system and muscles slowly stop responding, until the body can no longer maintain even itself. She never had a chance to finish Caroline's Story to her satisfaction, let alone share it with the world. What follows is my effort to pick up where she left off. While I never knew my sister, who died a year before I was born, I knew of how much my parents loved and cherished her, how much they sacrificed of their lives for her, and how much they lauded her natural ability to show compassion for others as she grew, to know and love and talk about Jesus, and even despite all medical opinions grow and develop at her own pace long past her due, until her time would come. Caroline has become an inspiration to me, just as much as my mother has through the final period of her life. They both struggled through declining physical states even while their spirits remained strong, both worshipping God, and loving Jesus Christ - until they both returned to Him, having endured and run their races faithfully to the very end. I truly believe that Caroline's Story wasn't meant to be completed until my mother's, likewise, came to an end. And as I pored over my mother's writings and old family photos, I'm absolutely convinced that the two stories go hand in hand. During my mother's struggle, my brother and I lived a great disance from our parents, and so our opportunities to visit and help were frustratingly limited. We had to rely on regular communications from my father, extended family, and close friends who would let us know how they were doing, and how much we were missed. In compiling photos and events from my sister's life as recounted by my mother, along with those at the end of my mother's own life through email updates, memories, and other messages, my prayer is that this story would not only encourage and provide experience for those who may have a family member suffering from ALS, but also carry out my mother's desire to inspire and strengthen the hearts of struggling parents of children with special needs, as well as give personal testimony to the goodness and faithfulness of God throughout these trials - that it would be a blessing to the life of anyone who may be touched by this experience. Written by Janella Margaret May, with additions by Geoff May - this is Caroline's Story. It was dark when I awoke. I was lying with my feet hard against the metal bar of the hospital bed, and the pillow somewhere over my head; not a very comfortable position. Then I remembered, "the baby!" I looked down the bed. The familiar bump was gone! I felt around for the night bell and a nurse came in answer to my ring. I was told I was ok, and to go back to sleep, which I dutifully did. In the morning as the effects of the anesthetic began to wear off, my abdomen began to ache. I had had a caesarean section birth. Maybe it was not the best way to be introduced to motherhood, but somewhere in that hospital my baby was being cared for. My husband Bob and I had already decided on a name. If it was a girl: Jennifer Caroline, and she would be known as Caroline. I seem to have had a stroke, but this is being investigated - MRI down the road and visit with neurologist + other stuff. The CT scan - negative, and blood work - negative. These were performed at Emergency - but I still have symptoms - odd! I have in mind Mark 8:22-25, two part healing. The doctor did not allow me out of bed for three days, so all I heard about Caroline was through Bob and the nurses. It had been a difficult birth - a long labour followed by a C-section, and there had been a suggestion of oxygen deprivation as well as some physical defects. Caroline therefore was kept for some time in the safe environment of the nursery under the attentive care of the staff, so I did not see her for some days and even then I was not allowed to touch her. We haven’t heard anything so far regarding our circumstances - red-tape and busy medics! I am having to be careful of what and how I eat. It is beginning to look as if I could have what Gran had - that will be determined on further investigation! I'm moving on too fast. I am glad that medical knowledge has progressed since those days - enemas were a normal treatment after childbirth. So while I was still groggy from all the medication, I was given an enema. I was feeling nauseated and generally miserable when, to add to my problems, that night my sister came to visit, to warn me that Caroline might not live through the day! Every fibre of my aching body cried out to God, "No! Not after all this!" Instantly the nausea and the discomfort receded and I felt as if I were surrounded by a cloud of peace and reassurance. I knew beyond any doubt that Caroline would live. Mum has been slowly recovering her speech, but has yet to start recovering confidence in her bad leg. She WAS however walking a lot better. So, on Tuesday evening, as she was leaving the house to go to a "King’s Kitchen" charity board meeting to ‘sit in’, guess what? The high wind swung the door open as she leaned on it and over she went, face down onto the veranda! Nothing was damaged, except her left arm just above the wrist - broken - and her morale. She’s back home, learning not to be in charge for a while. Dad is having to drive!! He hasn’t done so for a long time!! Soon, we were informed that because of the difficult birth and the lack of oxygen, it was possible that Caroline had suffered some brain damage. Also, one of her feet, having been caught by the cord in the womb, was doubled over and had to be straightened. The other was flat, having no instep, so later when she started to walk, her weight would push on her ankle-bone instead of her heel. 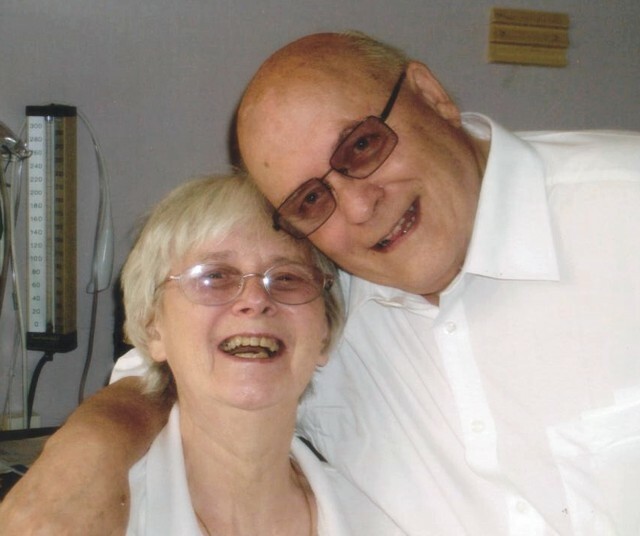 Bob told me later that because her blood was unable to clot at birth, it had been necessary to give her two complete transfusions, and it was during this time that the possible brain damage may have occurred. As the days passed, another problem surfaced: a heart defect. The doctor, whose name I never did find out, told us that Caroline had an enlarged heart. ‘Good’ news - Mum is in hospital. We saw the neurologist today and she was adamant that Mum should actually be in hospital, for personal safety. She is still too weak and unsteady on her feet and also needs a week or two of supervised physiotherapy. She pulled a few strings and, lo, Mum stays there. She has improved a lot over the last few weeks and has a good chance of recovering completely. She is still due for an MRI on the 10th of this month. The Neuro’ seems to think it was likely a brain stem area stroke - because of the slurred speech, difficulty swallowing and overall weakness. Mum is in hospital for a few weeks, for further and supervised physiotherapy. She has improved quite a bit, but still has quite a way to go. She goes on Friday to the Montfort hospital in Ottawa for an MRI and MRA to try to find out what caused her problems. Hopefully we will find out soon after that. The doctors later went into more detail, informing us that they would not be able to successfully operate because Caroline had two major problems. First, her "plumbing" (aorta and such) was all mixed up and out of place. Second, her heart was badly formed. The lower two chambers were undivided and there was a hole between the upper two. She had in effect, two circulatory systems - an upper and lower. She was alive because of the mixing of the two in her heart. Their description was that as normally happens in such cases, having more than one major defect, there is a balance at first, allowing the child to live. Unfortunately, that balance eventually changes and the child doesn't survive. The doctors at the hospital had warned us that Caroline was not likely to survive for more than one year, and if so, we must not blame ourselves. Mum seems to be coming along fine. I hope you can give her a call. She would love it. She may break down if you do call (stroke effect) out of happiness. You may need to call back in that case. Her speech is well on the way back. She doesn’t have full control of, or strength in, her fingers. However, she is still in hospital having physiotherapy. She is walking a little - with a small walker - but is not safe for balance. This is particularly so while she still has her left arm in a cast. Hopefully the cast will come off on the 23rd. and perhaps she will come for home care a couple of weeks later. Mum was taken by ambulance for the MRA/MRI. We hope to get the results by Friday and then know better what actually happened. Slowly but positively Caroline progressed, and I was eventually allowed to go to the nursery to see her in her oxygen-enriched incubator - but only to look. How I longed to hold her. She was so thin and long, not the way I expected a baby to look; but she was our baby, our Caroline. And by the grace of God, she was growing stronger daily. Bob visited every day after work. On his drives to and from the hospital he often prayed "Why this Lord?". A measure of peace of mind was given in the scripture that reads "all things work for good to them that love God", and he was able to accept that eventually all would work out well. I had a good visit with Jan on Monday afternoon… I spent nearly three hours with her, part of that out in a small hospital garden. We were conversing all the time. We went back inside in time for her supper - she was surprised to find that she liked the fish and mash. A little while later, she tried to talk about a professional female who visits the hospital who could cut her toenails. That lady comes from Carlton, Ottawa. Jan couldn’t speak the word Carlton and she broke down completely - first time for a long time. I managed to help her to recover in a minute or two and assured the nurses she was OK.
Jan has progressed so far in walking, balancing, strenghening, plus increasing movement of her arms and fingers! However, she has not yet accepted her need to be patient and concentrate on improving one step at a time. Learning extended patience is her greatest ba-aad problem. I later explained to her that the word CARLTON is one of the hardest words for her to speak. She asked why. I said it has the very sounds she has most difficulty in pronouncing - C(kuh); AR(arrr); L(ell); T(tuh) and ON (nnn). So I told her I don’t want to hear her speak that word until she can easily pronounce each sound on its own! I had her list each sound and told her to practice the first until she could sound it, then move to the next etc. We must work hard to keep Jan’s spirits up ! Mum is still in hospital and after many tests, the latest diagnosis is not a stroke but a rapid onset of A.L.S. That is most often a progressive illness and can result in at least a total loss of muscle useage. We think and hope they have made a wrong diagnosis, because she has been improving all the time. 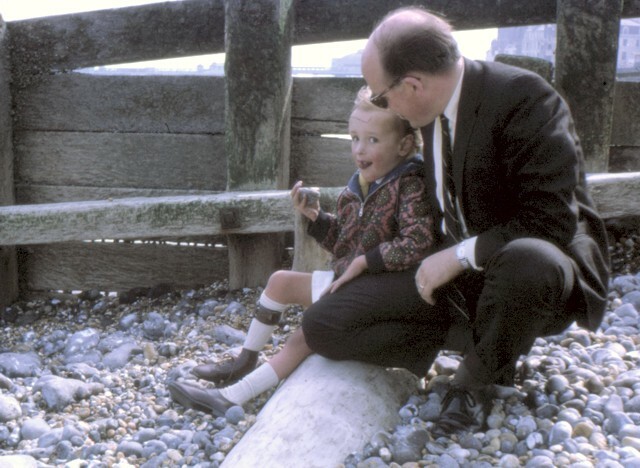 It was a pleasant coincidence that Caroline was born on the 15th of November, the day before her dad's birthday - I was also born the day following my dad's birthday. However, we were not allowed to take her home to the village of Sandhurst until Christmas Eve. We asked if whether, in view of her condition, there were any special instructions for looking after her. "Treat her as a normal baby," was the advice given. Yesterday we were told that she is now not registered as an Acute Care patient, but as an Alternate Care patient seeking to go home. She is more upbeat now that I can see her more often. The sooner we can get her out of hospital, the sooner we can reduce the boredom and get her doing things. It’s breaking her heart not being able to see you two. I don’t know how long she has. It could be weeks, it could be a year or two, but she is in a very bad way. If you guys could somehow make it here, it would lift her up tremendously. I am her other worry, unfortunately, for she knows that I may have an advanced case of Lymphnode cancer, so we don’t know how long I have either. If Mum really does have ALS, it is considered incurable and hers is an advanced case. Please, pray fervently that the Lord will make a way for you to come. 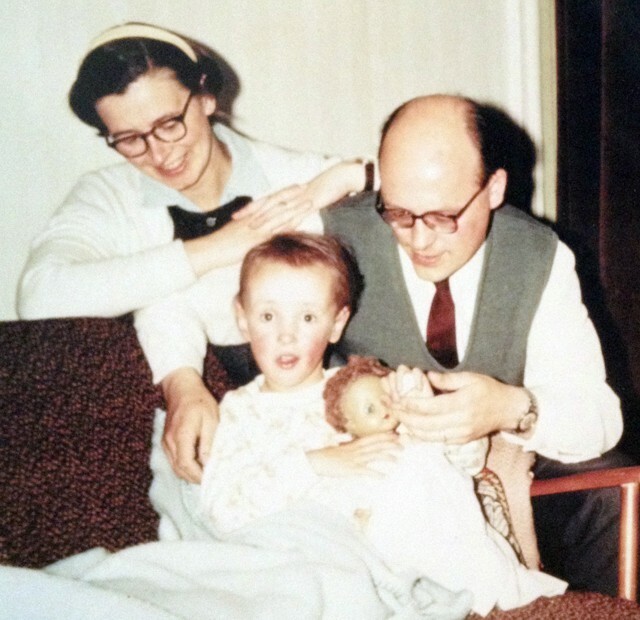 We had never held or cared for a baby before, and here we were, with a special child. How do you care for a baby? How do you care for a special baby? 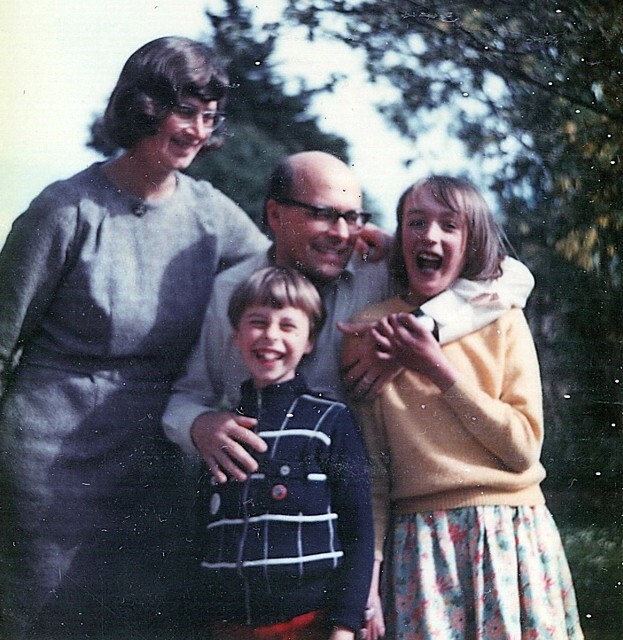 Having her back at home, Bob and I soon learned to take each day as it came, to deal with each development as it happened and not to get upset when our plans didn't work out or when normal childhood progress wasn't seen at the expected age. Nonetheless, her progress during that first summer was remarkable, and as time passed the doctors realized that here was, indeed, a "miracle baby." It was love that gave us courage and incentive. God's love to us, with His continual presence, parental love, the love and prayers of the church fellowship, and the love and care of the ladies from the Red Cross. The doctors say Mum definitely has definitely ALS and it is very advanced. ALS is supposed to be always degenerative and always fatal. However, it usually starts and extends very slowly. For Mum, it came on like a switch being turned. They are sure, we are not, that it is ALS, but all the signs are there. She still cannot stand or walk alone, although she has improved somewhat. She is not improving with her speech and is often difficult to understand. She is sharp and alert and frustrated at her inability to communicate easily. She still breaks down and is overwhelmed with the kindness we are being shown - so much of it - but now she recovers quickly. Your mother has touched many hearts. We almost definitely will have to move house, to a wheelchair accessible bungalow, or to a Home suitable for ALS people. Our "Health Visitor" was Mrs Thompson, assigned to us by our family doctor, Dr.Smith. Her responsibilities included acting as intermediary between ourselves and our doctor, to keep a watchful eye upon the new baby and to arrange temporary extra help in the home as needed. It was through Mrs Thompson that the Red Cross ladies became known to us. Because of Caroline's health, we were advised not to take her out of the house for any reason in case she caught cold, which might have proved too much for her. A number of those Red Cross ladies would then come to babysit Caroline so that I could leave her in good hands and take an hour or two off to visit friends, shop, or take a walk. I never knew which lady would come and unfortunately I didn't get to know them by name. I do know that due to their attentiveness and reliability I was able to relax and recharge when needed. I visited Mum today and I’m not sure whether I’m encouraged or discouraged. She did not sleep well last night - she did not take her half sleep tablet - and was very weak when I saw her at lunch time. She bucked up a lot during the afternoon. She is still very weak and doesn’t like it. For the second time, she ate most of her little meal. That is a distinct improvement. I’ve told her, she must continue to eat better if she does not want to be weak. She is not getting encouragement therapy that she needs. She is now beginning to move both arms a little, tho’ both are very weak. Another improvement. We need her at home, but she’s not yet fit enough. Serious - I’m going to take Power of Attorney and DNR etc documents in next week. Mum can still write, but with difficulty. You realise, I hope, that she wants DO NOT RESUSCITATE and No Heroic or artificial life support - as do I. We both wish for no fuss quiet final services. All the above whether weeks or years away. Neither of us is giving up yet but we must prepare. If I go home first, I hope that her sister will help Jan. If Mum goes first, perhaps your uncle Geoff will help me somehow. The Lord knew what He was doing when He brought Bob and myself together as husband and wife. Bob has much more patience than I have and this was to be thoroughly exercised, particularly at night time. We discovered very early on that Caroline had difficulty going to sleep because of breathing difficulties. We tried so many ways to ease the situation for her. The solution that finally worked was to tilt her crib so that her head was higher than her feet. This sleeping on a slope certainly helped her. By chance - though rather, I should say, by God's leading - Bob found out that by lightly thumping Caroline on her back at a regular pace, he could bring her comfort and she would eventually fall asleep. He had to gradually increase the strength of the thump until he reached her comfort zone. It seems that together, the regularity, the rhythm and the pressure, acted like a heart massage and kept the heart beat regular while also reducing tension in her body. Sometimes he wondered if he was doing a safe thing, but the results were so positive, surely it was God directing him in how much pressure he should use. He would continue for as long as was necessary, easing up until she drifted into sleep and he could stop without her waking up. This process could take anywhere up to 4 hours every night! I would keep him supplied with refreshments, coffee, cookies, sandwiches - whatever his need - and he would sit up there in the bedroom beside the crib, thumping with one hand and eating with the other. As Caroline grew, these long evening sessions became shorter, until eventually she was able to sleep without the treatment. When I put her into the high pram, which we had instead of the folding stroller that was becoming so popular, she would cry. Once Caroline was staying awake rather longer during the day, we discovered that laying her down in the pram frustrated her. It turned out to be because she could not see over the sides! The only way she could let us know was to cry. We tried supporting her with cushions, but she just slipped to one side or the other, so this was no solution. We used a molded plastic chair with an adjustable support in the form of a large metal square which hooked into notches on the back so it could be secured in position. Experimenting a little, we found that with the base removed, this chair fit very snugly into the pram at an angle that would permit Caroline to see everything that was going on, in perfect safety and comfort. She loved it and so did we! We had a much happier child from then on. She would recline in this chair, perfectly at ease and taking a steady interest in everything going on around her. Birds flying overhead would attract her, and so would children, and trees. The information was going into her brain! If I laid her down in the pram she would cry - but as soon as I sat her up in the chair, all would be well and she would be happy again. Since the beginning, I had been taking Caroline to see the "foot man" and the "heart man" every week. It was an extremely tiring time because Bob needed the car to get to work and I had no other means of transport. This is where the hospital car service came into its own. A number of people who had time on their hands, a car at their disposal and a desire to help those in need, formed a volunteer group to work with the health service and take patients to hospital for specialist appointments, physiotherapy treatments, and other out-patient needs - at no cost to the patients. This service was in fact door to door service, proving to be a boon to the handicapped. The family doctor would contact the central dispatch office and the transport information was then relayed to the appropriate drivers. All the patient had to do was to be ready one hour before the hospital appointment. It was one of the most reliable and helpful services run by volunteers that we had ever come across. As weeks became months, our weekly visits became monthly visits, and progress was so positive in both the stabilizing of Caroline's heart condition and her growth physically, that we were put on to a six month heart check schedule. Then it became only once a year. That was really something! This child whom they thought would not live a month was now on an annual checkup programme! We did have to continue to see the foot specialist on a more regular basis. Surgical boots and a caliper gave her the necessary support, given the shape of her foot. This footwear had to be made-to-measure, and the process could take as long as six to eight weeks from measurement to completion. I just had a call from the hospital about Mum. They are calling a multidisciplinary meeting to discuss her progress or condition. It sounds as if they are going to want to move her away from me. If I cannot get to see her, I believe Mum will fail fast. During that first winter we had another experience which taught us how great a God we have and how fully He cares for His children. It was March, and in England that time of year can produce a variety of weather conditions. That year it was to be wet, cold and windy. Bob was to go out of town on business and his partner was due to pick him up at 7:30am. When my alarm clock rang at about 6:45am and I looked out of the window, I couldn't believe my eyes! Snow, everywhere! More snow had fallen overnight than had fallen during the rest of the winter! Caroline woke up, obviously distressed; she was hungry and crying. Her circulation was not right and her feet had turned almost black. Her bottle was just warm enough - I had kept it in a thermos-type container ready for the morning, and I thank God that I was using a plastic bottle, because I could immediately squeeze it and thus allow drops of milk into Caroline's mouth without fear of choking her. While I was doing this, knowing that if I could persuade her to drink, she would stop crying. Meanwhile, Bob was rubbing her legs and feet to encourage her blood to flow again. 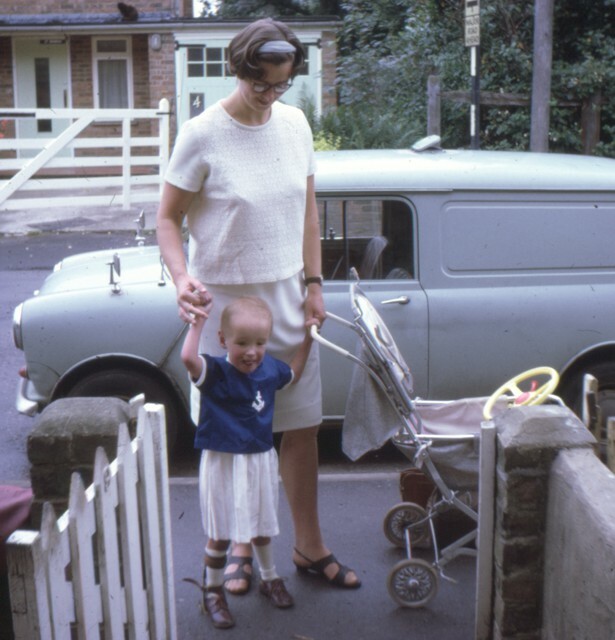 By about 8:00am the crisis was over, Caroline's colour was normal and she was feeding well - and no car had yet come. The phone rang, it was Tom to say that the trip was cancelled due to the severe weather condition! By lunch time the roads were passable and by evening the snow was completely melted. I am convinced that if the snow had not fallen and Bob had gone on that trip, our daughter would not have survived. Jan is a little weaker, speech very poor, but still walks with helpers about a dozen steps. The meeting went very well this morning - very positive - and Mum took it well. Thanks for all the prayer support. We were emphatically told there would be no rushing Jan out of the hospital and that we could take our time looking for a new home or, better, a nursing home that we preferred. No movement before Christmas or mid winter, it could even be over a year. They agreed it would be bad to separate us - for both of us. In between heart and foot visits, just to make life interesting, we had evaluation sessions periodically to monitor all stages of development. At one of these sessions, the doctor (a lady whose name I cannot remember) told us that children with heart problems such as Caroline's usually progressed at about one ability at a time. She had moved through the rolling and creeping stages, in a kind of a way, but at a much slower pace than the normal child. We never really found out if she had any actual or significant brain damage at birth. If there was, it must have been in the area of speech communication. She did learn to speak, although by a very effective use of what we called "short-speak" sentences (like short-hand in writing). She was a very cheerful girl, and once she found her balance she stomped determinedly around in her caliper and boots. Sometimes, showed us that she was fully aware of what was going on around her by surprising us all with a complicated sentence. A comparatively simple sentence like "It's raining outside", she would instead say using her short-speak: "Rain", while she pointed to the window. She even made noticeable efforts to be helpful to others at school and at church, and soon built herself quite a reputation. I don’t know whether to be up or down. I went in to see Mum yesterday at 2PM. She was so weak and in bed. She was too weak to try to speak and I told her to rest as I partially broke down. She bucked up quite a bit fairly quickly, was able to talk and we went outside and down the street a way (puff puff). We are trying hard to get her to take the food she gets - purée (including puréed pancake!). She won’t take the food if she doesn’t like the taste. We are saying she must eat it if she CAN even if she doesn’t like it (like the Tylenol she has, crushed and with Yogurt). If she won’t eat, I don’t expect her to be with us by Christmas, barring a real miracle. Don’t tell her. She insists that she is not giving up. I go to see her - she’s low. I leave her - she’s high. But I can’t go every day and I can’t be there all the time to keep her active and eating. Please send her an email ( to me - I’ll print it as usual ) urging her to eat and move hard. The shortage of time for Mum is now extended a little as she has now agreed to the use of a stomach feeding tube if and when it is considered advisable. She was a lot better today, but she is still having choking and gagging sessions, which can be dangerous. Once we had the doctor's permission to take her out of the house, she went everywhere we went. 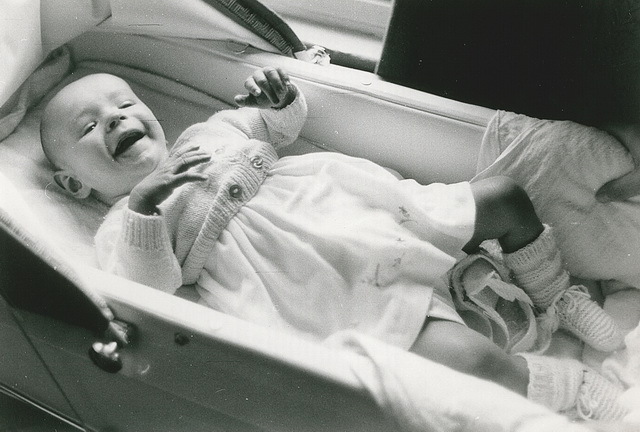 At first she would lie in a "carry-cot" which we secured in the car, then as she grew older and was better able to sit up, we placed a car seat for her. She went to church with us, she visited friends with us, and when we had a meal in a restaurant, she was with us there too. We learned to treat her as if she had no handicap, but we also learned that she had to take much longer to learn a new skill, and even once learned it would take her much longer to perform that skill. 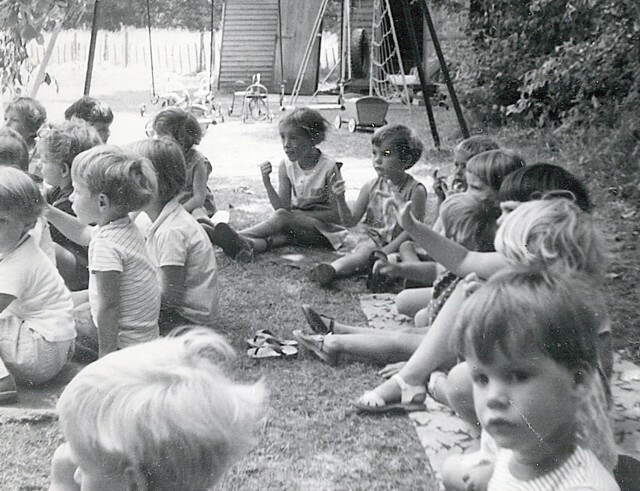 For instance, in Sunday School she would listen attentively to the Bible stories and join in with some of the actions to the choruses, but it took her a much longer time to learn the words. We would encourage her by singing the same choruses in the car. Sometimes Bob would change a word here and there as we sang. Even though she didn't sing the words, Caroline never missed one and would stop him and tell him the correct word. This confirmed that information was going into her brain, even though it wasn't coming out in the expected way. Mum will start feeding through a stomach portal next week. She will also be using a computer ‘Text to Speech’ by the time you arrive. She would use the mouse or such and an onscreen keyboard. Mum could be going to a nursing home any time from now to 18 months away. They say it will more likely be toward 18 months - if she lasts that long. She keeps having bad choking sessions - very tiring and frightening. Caroline was not ready to start School at 5 years of age. Her various problems indicated that she would have to go to a Special School at some point. The next big step in her development was to introduce her to other children in a controlled atmosphere. A short walk from our home was a pre-school nursery, and we were able to register her there. I was more apprehensive than even Caroline was that first day. I decided to wait a while to see how she would react to the other children, and how they would react to her. But soon the books, toys, jigsaw puzzles, water and sandbox were so intriguing to her that I knew I didn't have to worry any more. She was in! I left her in the capable hands of the teachers and volunteers. When I returned that day at noon to collect her, the supervisor informed me that Caroline had fallen, and we should take her to see the doctor "just to make sure everything was ok". This I did and was told by a doctor who was not our regular doctor that she had probably bruised her bone, but she'd be alright in a couple of days. As we had a visit to the "heart man" that week, I mentioned the fall to him and he ordered an X-ray of her leg. It revealed a "green-stick" fracture, and we had to go to another hospital in order to have her leg put into a splint. That day was so very tiring both for Caroline and myself. We returned home about 7:30pm having left the house at 1:30pm. Caroline's leg healed well and soon she was able to walk again much to everyone's relief. Things are getting very hectic here. The latest situation for Jan is that she had a second serious choking session today and had to have her throat suctioned again. She is very weak. The sooner they get some nourishment into her the better. She should be visited by the surgeon on Tuesday. Hopefully they will start the stomach portal very very soon. I haven’t seen her today, as I was having my 2nd MRI at the General. When I phoned her at around 5:30 and at 7:30, she still sounded very low. I expect to see her tomorrow - Wednesday - then I’ll know more. Caroline continued to develop over the next few years and in spite of the early predictions, became a very interesting eleven year old. Caroline would take her lunch with her when she went to the Special School every day. 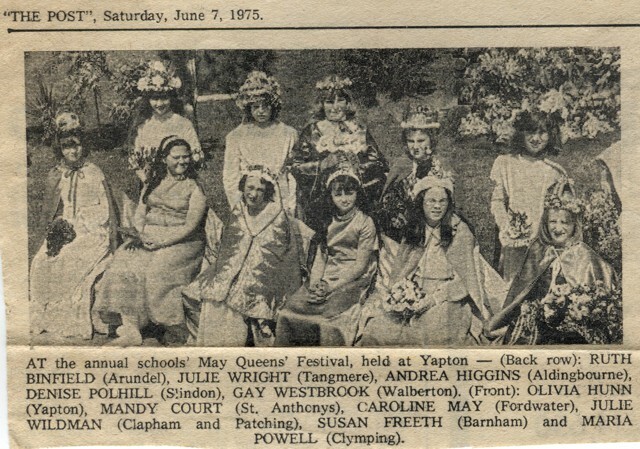 How she loved all the activities - which included life skills along with some academic subjects - as well as joining in the drama productions at Christmas time. The aim was to give these special children a knowledge of the things that would see them through their daily lives. Caroline could dress herself, wash herself, and even tie her shoelaces. That was a big achievement. She would even help me around the house with simple jobs that were within her limited capabilities. It was at about this time when she started to complain that her chest hurt. Once again, we knew that somehow it was the Lord who guided Bob to find a special hug which relieved the problem. He would clasp her to himself in a manner similar to the earlier back thump that gave her relief when she was a baby. Mum and I went up to the ALS occupational therapy section today, to identify what devices they can provide to help her communicate. Mum woke up in the middle of the night choking. A voice told her to ring the bell to call for help (no one was in the room). It took them an hour to stabilize her. She was very tired when I arrived at 9:30AM and she managed well through the day, but I left her at 5:30 and told her to rest well. Tomorrow she is due for an ultrasound and an X-ray to try to find why her 'good’ right hand is getting puffy. 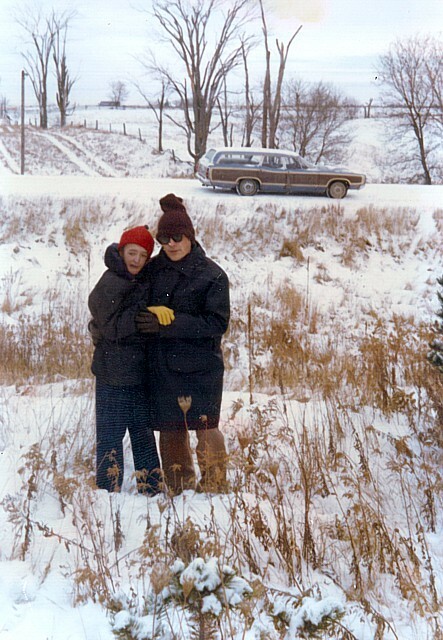 Following my father's death in August of 1976, we planned to visit my mother and sister in Canada for that Christmas. By this time we'd been blessed with a son who was now turning eight years old, a brother for our eleven year old Caroline. As such, this trip was quite an experience for us all. None of us had traveled so far before. We had to confirm with our doctor that Caroline would be fit enough to travel - she was, so we made the trip. But, we hadn't considered just how cold the weather would be, only taking British winter clothing which was quite inadequate. However, with the generous assistance of family and friends we were able to withstand the sub-zero temperatures remarkably well. As Christmas approached, we helped in the preparations by sorting lights and decorations for the tree. We had to go and cut our own rather than buy one at a shop, so the children wrapped up well like the adults. We piled into the car and drove to the end of the road where there was a small forest of Christmas trees. The land fell away from the road and formed a valley before rising to where the smaller trees were growing. This layout was quite important to Caroline. She stomped down the snow-covered grass slope following her brother Andrew and her cousin Elizabeth. That's when she called to her dad, put her hand to her chest and announced that "it hurt!" Immediately Bob gave her the special hug-pause-hug-pause-hug until she indicated she was okay. Then he half walked, half carried her back up to the car and took her back to the house while the rest of us finished cutting down the tree of our choice, dragging it home. The cold and the sloping ground had been too much for her heart and lungs, but after recovering quickly in the warmth, she helped decorate the tree and was thrilled when we lit the lights. Jan was low today. Another choking session apparently. She is now on RILUTEK. Let’s pray it works. It has been a busy week. Mum has had her ups and downs, for she worries so much about me. If I can make it, it would be great if you could pick me up again - I am driving as little as possible these days. Also, it would be good if you could take us up on Sunday in time to attend the tiny congregation at the Shanliwood Baptist Church that Mum and I helped to found (there were 9 founders actually). I really hope you will be kind enough to do that. This could become a very special visit. Mum is lonely on Sundays - not even physios there. Our visit was over all too soon, and we packed all the gifts we had received. We managed to push everything into the suitcases and eventually boarded the aircraft for the flight home. When we disembarked at Gatwick Airport in England, the wheelchair we had asked for was not there, so we started on a long walk to the customs desks. I took our son Andrew and we went on ahead with some of the hand luggage, while Bob walked more slowly with Caroline. Seeing an airport attendant, I asked if a wheelchair could be sent to pick up Caroline. Andrew and I reached the luggage pickup area, found one of the few remaining buggies and hung around waiting for husband and daughter - of whom there was yet no sign. Eventually I decided to go through customs and explain my predicament, for I had all the Passports. Once through, Andrew and I turned a corner and saw two smiling faces waiting for us! Someone had heard that "a passenger had collapsed". Quickly, in addition to the wheelchair, an ambulance and the Airport Manager's own car had been sent to the rescue. I discovered later what had actually happened: Passengers had to descend a flight of stairs and then climb another on the way to the customs hall. This was very similar to the slope at the Christmas tree hill and Caroline had not been able to take the strain of climbing them. The hug-pause-hug-pause-hug had been needed again. This time though, she had taken much longer to recover. Realizing it was a child with difficulty who was unable to walk far, the manager's car had seemed more appropriate than the ambulance, and so these two, father and daughter, were whisked quickly around the outside of the buildings and thus beat mother and son to the exit. Thankfully, all ended well and we returned home safely. I didn’t get to see Mum today because of my chemo visit, but over the telephone she seemed OK, ‘tho she doesn’t talk. Mum still has some intelligibility but only face to face. She now has some devices, such as laminated pages (one provided by the nurses), a couple provided by the A.L.S, a paper copy of the Speakbook and a 3-ring binder word/ phrase book with laminated pages. I had to modify it a little with a wedge inside front and rear covers because Mum couldn’t get her clenched fingers under the page change tabs. I am making up something similar, but smaller and that needs her only to move her hand a few inches horizontally and her listener to turn the appropriate pages. We still need to devise/ find a mouse/ trackball - she wants a trackball - that is sensitive enough for her to press the buttons. I want to modify one to put a very sensitive switch pad on the outside of the mouse. We need to get her to be able to use her laptop, then she will be able to talk to us all by email or facebook, as well as play her games and read her Scotsman paper, to do her on-screen bible study and surf the Net. Caroline's schooling continued, and by this time her eight year old brother Andrew was also helping to watch over her. She began to learn to read, and at first it was only the occasional word, but finally she conquered a full sentence in a child's storybook Bob was using about Adam and Eve. She was so pleased with this accomplishment. What we were noticing, however, was that what she learned today she was forgotting by tomorrow. We didn't realize that this was a forerunner and warning of deterioration in her physical condition. I visited Mom today for a little over an hour and she is almost holding her own. She is experiencing less and less use of her hands, much assisted by the fact that she is not productively using them. She is right handed and that one is getting more puffed up. I think the main reason is that she is apparently not getting physiotherapy, probably she is still in isolation and visitors have to put on gloves and put on gowns. Her favorite excellent physio - Allison - has left and moved away. Allison’s replacements are two young much less experienced ladies - not their fault! Mom is now very short tempered when I - or others - cannot understand her. Then she starts to break down and can begin choking which weakens her further. She cannot use a touch-screen - she slides her hand. Mom is moving fast to 'eyes only’ - eyes left, right, up, down, head up, head down. I am trying to make up a different form of laminated book using a combination of SpeakBook and A.L.S. input of words and ideas. I have taken pictures of all pages of words/ pictures given her by anyone - including nurses. That input - and others can be added - could be put into PDF form. See if you could also think of something and perhaps try your friends/ contacts. Speed is essential to be in time to reduce her suffering with not being able to converse! Because of her isolation I can’t even touch her directly. We’ll try the A.L.S. Hi Tech systems soon I hope. But if they can’t reduce the $800 a year charge, we won’t be able to use it. For some time, Bob and I had taken turns to go to Sunday evening service, for we felt it was too much to expect both of the children - active children - to sit quietly for over an hour when the service was not directed toward young people. I look back now to one particular Sunday - It was my turn to go out and I remember Caroline sitting on the chair. She gave such a big smile and cheeky wink. I think she had just discovered how to wink with one eye instead of two. During the service there was a short period of time that couldn't have lasted more than a second or two (although it seemed much longer), when there was absolute silence. No sound of any sort. No sniffles, no rustling of hymn books - even the organist was poised and sat waiting to accompany the next hymn. It had been a dull, overcast day, but at this point the sun suddenly broke through the cloud and a bird started to sing. A blackbird or thrush. I'm not sure which, but the sound was so pure, so powerful. I sat entranced; then a voice, very clearly, spoke to me: "Caroline will soon be free like that bird." And then the moment was gone. The service continued and I thought no more of the incident at that time. Mum seems to be holding her own. Out of isolation in room 107, a fairly plush family suite. She now watches TV and is or will be able to watch videos, if people will deal with them for her. She is booked for another visit to the ALS hospital in Ottawa on Dec 2nd to re-assess her. They would like me to go with her if I can - one week after my next chemo on the 25th. Mum is still needing emails from her family for me to read to her. Frannie has set up a meal train of volunteers willing to supply me a meal. She is also coordinating volunteer rides by people willing to take me to see Mum. The responses have been amazing. I have been very weak for a week, but recovering a lot at this time. I have not been strong enough to set up her laptop, but hope to when I visit her next week. When I returned home, Bob told me that Caroline had gone to bed. She'd complained of a headache and had been given the usual aspirin. As I was taking my coat off, she called down stairs. When I went up to investigate, I found that she had vomited. She went into a severe coughing period. During the next few hours, her condition continually deteriorated, and we called the duty doctor who was not our regular doctor. After the second call, he finally came. He did not call an ambulance at that time but advised us that if there was any further deterioration we should call him again and he would have an ambulance take her to the hospital. Surely enough, we had to call him again, for Caroline had soon gone into a coma. We were told later that as her heart and grown larger to compensate for the poor circulation, the strain of her coughing had caused a blood clot that had blocked a vein in the back of her neck. The ambulance arrived shortly after that, and for the first time, it was Bob who went to the hospital with Caroline while I stayed at home with Andrew who slept through all this activity. Over Christmas, I was fortunate to have friends who were visiting family in Ottawa and who’d offered to take me to visit my parents en route during that weekend. So, in somewhat last minute plans, I arrived in Prescott to meet my dad, with the intent to do a bit of cleaning up at the house and sorting through things, but the bigger plan was that we would visit my mother - to surprise her - on Christmas day. The next day did not go according to plan, however, and it’s a visit I will never forget. Very early that the morning, my dad woke me by banging on the wall, saying he was in pain, clutching his chest. I called 911, and we headed to the hospital. My mind was racing, imagining the worst - that he might not survive. And then my mother came to mind. I was shaking, anxious, fearful. I got in touch with my parents’ close friend Frannie, and I couldn’t hold it in… it was too much for me to take. But she encouraged me, and strengthened me, prayed with me, talking me through while I waited, for an hour and a half. Once things had settled with my father, we arranged a way for me to visit my mother in the other hospital. In the afternoon, I was informed that my dad would need to stay at the hospital for a CT scan the next morning. He had suffered a blood clot, and was on blood thinner and pain killers, and had pneumonia in both lungs. He was not going anywhere. It was going to be only my mother and myself. On arrival, I had no idea what I’d do. She was expecting a visit from my dad alone, not me at all. How would I tell her of his condition? How would she react? I had never spent time alone with her in this condition before. I was nervous, sad, frustrated, mad, scared... I remembered that my dad had said she loved when he read Bible passages to her. It calmed her, it lifted her spirits and comforted her. I kept that in mind as I rounded the corner and looked into her room. She turned her eyes towards me, slowly shifting her head – and they lit up, so wide. Her jaw opened, and her cheeks pulled backed with the faintest shape of a smile and pure happiness, clearly overjoyed. "Corners up!" I smiled right back at her. One special thing had happened during Bob's vigil at Caroline's bed-side at home that night, just before she had slipped into her coma, which gave him in particular a great comfort: Not having spoken for hours, Caroline suddenly said to her dad, "Daddy, I've been talking to Jesus!" After my mother's weak smile, she looked to my left and my right, noticing that there was no one with me. Her smile quickly began to fade. I couldn’t say anything. Then, all that happened was a slow growing of a fearful wail as her mind immediately jumped to the worst conclusion... Never had her husband missed an opportunity to visit her, if he was able. I rushed over and held her, tried to explain to her that everything was ok, that my dad was still with us, still around. I had to let her know that he’d just suffered a minor physical setback and was being taken care of. But she was still very downcast - she really, really wanted to see him again. Time seemed to fly by, as I simply spent time at her side. I had about 2 hours, with nothing really planned. We watched a bit more of the show that she was enjoying on the TV when I had arrived. I told her about things I was doing back home. I described some of beautiful places I’d visited while I was geocaching, and showed some pictures. She loved photographs. I talked about my church, its family, our community, about my playing music, about my brother, her other son; about anything I could think of that would make her happy. All this time, I kept thinking and feeling - this may be the last time I ever see her or talk to her. I then opened the Bible I had brought to a scripture, and read to her Romans 8. About suffering and hope, about the future, things of the spirit far beyond the struggles of our physical bodies; it's a passage which culminates in favourite verses of mine, Romans 8:38-39. Then, I read through Psalm 145 - a song of praise from David, knowing that deep in her heart, her deepest desire even now was to continue praising her Lord and Saviour. I read to verse 4: “One generation shall commend your works to another, and shall declare your mighty acts.” I remembered my sister Caroline, her story, and my mother’s desire to share it. I struggled to keep my composure, barely able to speak. I wasn’t only reading for her, I was reading for myself. Caroline went into her Saviour's presence just before 7am. During the hours I was in the house with Andrew sleeping, I remembered the bird and the message, which I now believe to have been God's way of preparing me for Caroline's calling home, greatly encouraging me by His presence - just as also Bob was comforted by her telling him she'd been talking to Jesus. In the twelve years of Caroline's short stay with us, she had caused a ripple which is still touching people today. The Aldwick Baptist Church instigated the suggestion of an annual award shield, for "the child who showed the most concern for others" and who was the most helpful and kind during the previous year. Caroline, like many children who do not have the ability to read fluently, or learn or memorize scripture, showed that anyone can still be helpful and kindhearted, loving like Jesus did. 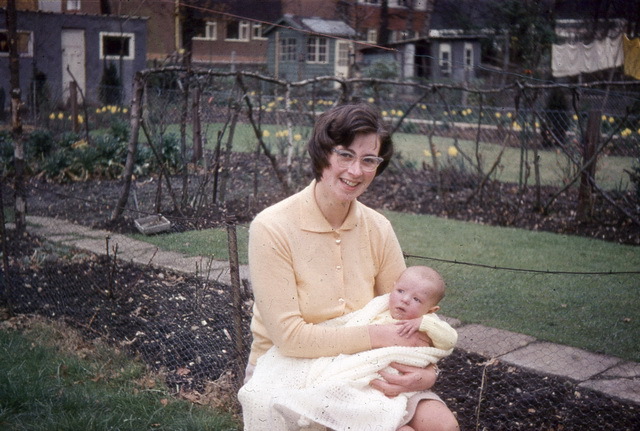 As my time with my mother neared its end, she seemed calmer. Happier. Content. She looked at me with strength in her eyes, speaking in love with her spirit, even though her entire body was lame. It was as if she, also, knew this may be the last time we’d be together. I told her that even though my brother couldn’t be there, he certainly would have were he able. He was here with me, with us, in spirit. I got the text message that my ride was waiting. I had to say goodbye. I remember no other visits during the past year where she wasn’t heartbroken when we had to leave. On our previous visit, it was devastating when, as we walked from her room, we heard her wail in sadness - my dad stopped, wanting to go back to her room, clearly emotional, but having to make himself leave, at the request and guidance of the attendants. This time though, I paused at the door, stopping to take one last look at her, and she back at me. She smiled. The hall was quiet this time as I walked to the exit, and I was filled with joy. All the day’s events had led to this end. All the problems, all the unexpected events, issues, worries, frustrations - they all led to this time. As it turned out, that visit indeed was the last time I saw her. The two months to follow were more of the same - no improvements, less ability to communicate, more struggling, and continued prayer. And my dad remained as fervently dedicated to being by her side as he was physically able, just as selflessly dedicated as he had been with Caroline. One lesson the Lord taught us through Caroline is that we should all think carefully before calling any person "Handicapped" or "Underprivileged". Often these people are far happier than "normal" people, and we are only highlighting how we think we ourselves would feel in their shoes. Another wonderful thing we learned was that such people, if you befriend them, can be a tremendous blessing to you. The call came in from your Dad this morning that your Mother passed away at 5:15am. Your Dad was with her all night and is now resting at home. In conclusion, dear reader, our prayer is that if the Lord has presented you with a 'special child', that you would experience a tremendous blessing in helping that young soul to be of help to you and others. Thank you for reading through this story of our experience. Did you know Caroline? Do you have comments, encouragements, or responses to her story, or anything else you would like share? We would love to hear from you! Please feel free to comment below, or send a message.